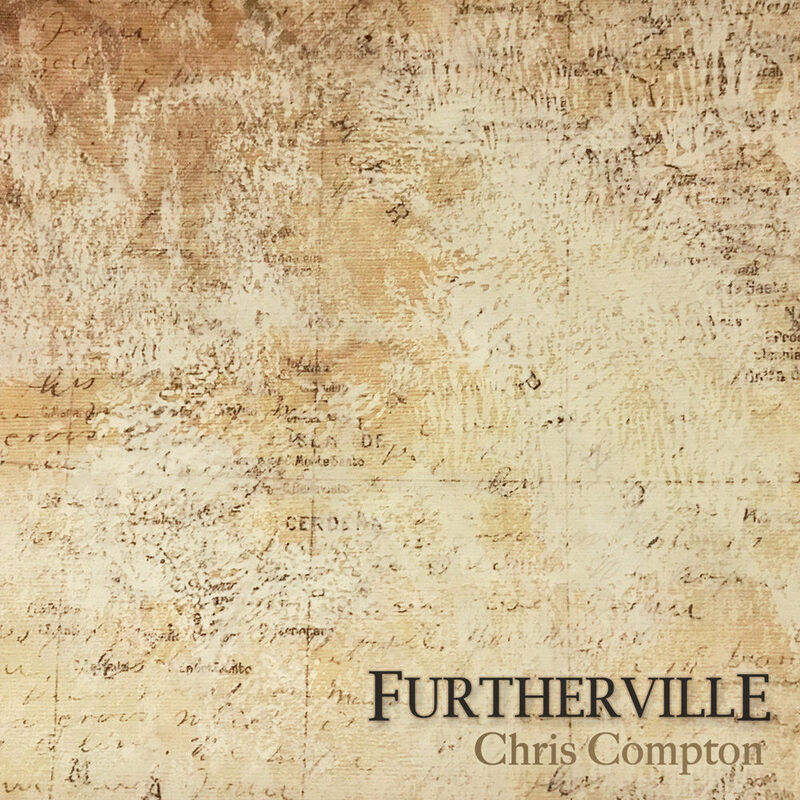 In speaking with Chris Compton about his new album, Furtherville, the first question I had to ask him was how he classified it. With a range of sounds from contemporary country to classic blues, and bluegrass to alternative with a sprinkling of ska, Furtherville is probably one of the most eclectic local offerings of the year, and I have to agree with Chris himself that the best title for it is simply ‘Americana.’ We talked pretty extensively about genre in music, and weighed its usefulness against the constraining power of putting a label to a sound. I personally came to the conclusion that worrying too much about strict adherence to genre is a disservice to Furtherville. Chris wasn’t too worried about it either, stating that one of the liberating things about writing for himself rather than for a band was being able to focus on themes and ideas that have become relevant to him in recent years: family and life in a small town. For my part, I take Furtherville pretty close to how Chris intended, as a drive through the back roads of your hometown. That mental image seems to be most analogous, and accounts for the wide array of musical variety while still remaining roughly in the folk-country-blues arena (or something close to it). “Sunshine in the Mine” kicks the album off with a bluegrass fiddle intro turning into a big country number while a dirty gospel organ drives the tune. The first thing on this album that took me completely by surprise happens halfway through, however, when the chorus drops off into a bridge that builds into a three minute instrumental piece, swelling with somber organ work, mournful banjos, and a subdued chorus of backup vocals that would be at home on a Crosby, Stills, Nash & Young album. 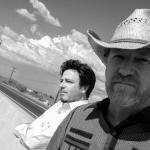 The lively organ work continues in “Ain’t Afraid of the Devil,” a punchy folk tune both playing with and poking holes in a long tradition of country and blues music surrounding the devil at the crossroads mythos. It’s a topic the recurrence of which in folk music I’ve always found interesting, and Chris does a great job paying lip service to it while running circles around it. “Hometown Rebels” leaves behind the bluegrass and organs in favor of a contemporary country song that could easily be at home on any top 40 station, but he quickly dives back into grittier sounds with “Highwater Rising.” This track really took me by surprise, because it put me in mind of Mississippi hill blues acts like Kenny Brown and R. L. Burnside, and that’s a driving, dirty, bluesy sound you really don’t hear too often, but one that I always enjoy when I do. The album has a number of surprises, but “Travelling Companions” and “Savor the Day” really take the cake on that. 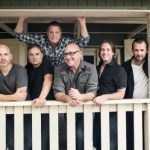 The former is a breezy number with dreamy backup vocals evoking images of escape while the latter is an almost jarring ska number that manages to be as unexpectedly amusing as it is foot thumping. The title track, “Furtherville,” is a perfect microcosm of the album. It’s a mix of country, folk, and pop with an alternative twist that at times almost seems to tease you with its unexpected resolutions and musical changes. It really leaves me with the impression of a place that looks like a stereotypical small town on the surface, but which reveals a cast of bizarre characters and perhaps somewhat unseemly but nonetheless entertaining history to anyone willing to take the time to investigate. I found it to be a great metaphor for the album: a piece of Americana with lots of subtle twists and unexpected turns when you dig into it. With horn work underpinning sparse guitar work and soft vocals “Glitter and Gold” really caught my attention. You can hear really subtle use of a sliding steel guitar which, along with the horns, put me in mind of Rufus Wainwright, and that’s some high praise. That tone continues into “Til the Wine Runs Dry,” which is as understated and replete with smooth, soothing vocals and clever, classic folk lines like “You never miss the water ‘til the wine runs dry.” These two tracks are where Zach White’s production work really shine, as a few instruments manage to fill a lot of sonic space without overpowering it in the slightest. The album wraps up on “Firstborn Sons,” with an intro that Ryan Adams would be proud of. The song has a really great alternative country tinge to it while keeping a melodic core. A windy atmospheric ambiance fills the rest of the space, giving the song the bittersweet quality of a newly empty nest. It feels like a fitting sign off to the album which Chris himself said was all about settling down and changing the pace of life to focus on what’s most important. And that really is at the heart of Furtherville. While the album is eclectic, it’s not attempting to be anything it’s not, or to be everything at once. In Chris’ own words, it’s the sound of someone who spent years playing music collectively, in bands and with various other performers, now taking the time to write and enjoy what he wants to play. It feels like the product of a life now focused on home, family, and friends. That shines through in the music itself, the way it was recorded one week at a time with his producer who lived less than a mile away, and the fact that when I asked Chris if he had any final thoughts on the album, all he said was that he was thankful to over a dozen local musicians who helped him make it.